In December 2014, the IFAD-financed MilkIT project (Enhancing dairy-based livelihoods in India and Tanzania through feed innovation and value chain development approaches) held final workshops in Lushoto and Dar es Salaam in Tanzania. FEAST was originally developed as a decision-support tool to help in identifying appropriate feed interventions in smallholder systems. 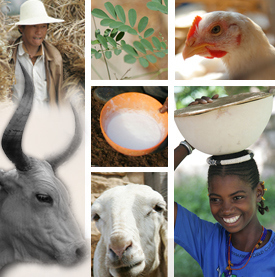 During the MilkIT Project FEAST was used in both India and Tanzania but in different ways and with different benefits. We reflected on the use of FEAST during our final project meeting in Lushoto Tanzania and produced a rough poster outlining the various ways in which FEAST was used and what the benefits of use were. In Tanzania, FEAST was applied at an early stage of the project and used to characterize the livestock production system and the various livestock feeding issues prevalent in our study sites. The results of the FEAST exercise were then fed back to IP’s and used as a catalyst to discussing possible intervention strategies. What emerged from these discussions was a series of feed interventions that were then applied in project sites. The Tanzania team felt that using FEAST helped to build engagement with farmers and other stakeholders and also created a sense of ownership of the interventions that were subsequently tried. Interventions in Tanzania included private pasture improvement and cultivation of planted forages. In India, when FEAST was applied, the emphasis was on collecting quantitative data for impact assessment. The India team put a lot of effort into a rigorous sampling regime and used FEAST in both target and control communities. This allowed the FEAST data to be used as a biophysical baseline. FEAST was re-used at the end of the project with the same households to allow changes in feeding practices to be assessed. There was less emphasis on the qualitative aspects of FEAST. In both cases, the fact that FEAST is a ready-made tool with questions that have been tried and tested, meant that it could be applied relatively quickly and easily. Although the use of the tool was different in the two project countries, in both cases application of a simple tool allowed project staff and partners to quickly identify key feed issues and move forward with some practical interventions. 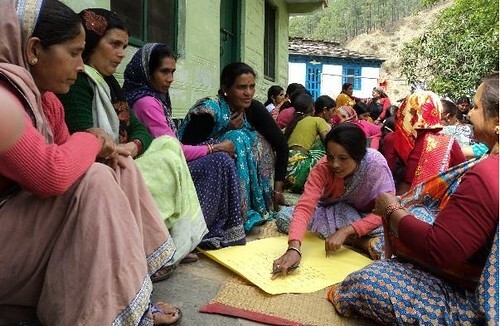 In both countries, the process of applying FEAST helped to get the conversations going and engage local stakeholders in the process of deciding on interventions. A writeshop in early March 2015 will help transform these insights into finished learning products. Tags: feast, IFAD, milkIT. Bookmark the permalink. Are only men involved in feeding livestock in India and Tanzania? The photo and text of this blog certainly give that impression. Even if you focus on quantitative instead of qualitative aspects of your programme, at least you could count the women. Women count! Ann – you’re quite right. In fact in India the vast majority of dairy cow keepers were women and the use of local innovation platforms seemed to have strong benefits in giving the voice. We picked the wrong photo but have now rectified that – thanks for your interest.